‘They Used Dark Forces’ was published in 1964, and is about magicians in the last days of WW2 battling for the supremacy of the countries that they represent. 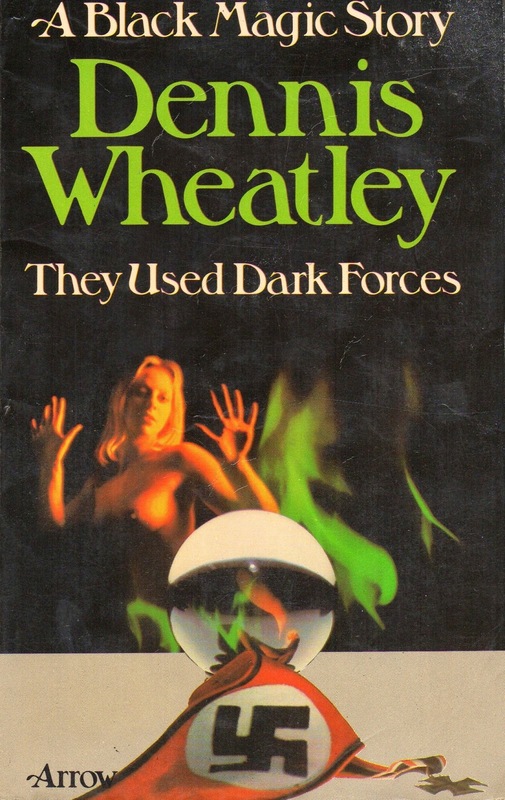 That sounds terribly exciting, but, like all Dennis Wheatley books, it is too leaden and drawn out to completely fulfil its promise, let alone make good on its fantastic cover art. In an extension of a stage hypnotist making a man eat an onion as if t’were an apple, the English Magus influences nasty, nutty old Hitler to shoot himself so that, of all things, he can be reincarnated as the leader of a Martian master race and then travel across space to have another (successful, this time) go at Earth. The always gullible Fuhrer falls for this obvious crock of crap and blows his mad brains out, cue end of war in Europe*. No less than he deserved, he was a bloody idiot. There's a picture of Dennis on the back of the book. He is no doubt trying to look like the epitome of the epicurean in his fancy smoking jacket, but instead resembles a bad waxwork. One of the things we've always liked best about black magicians is that they have no code of conduct. You won’t get one whining about how it would be ‘unethical’ to kill a man using magic, they just kill the bloke. We suppose that being a black magician is a bit like joining the Readers Digest, you realise you are letting yourself into, and know that you are committed to it until death, perhaps beyond. The Law of Man and God has very little to do with it. Wheatley’s magician, Gregory Sallust, features in several of his books. A little known fact is that the character was based on a real life wartime figure, William Wallace, a mystic and wizard who advised Churchill on a number of occasions. 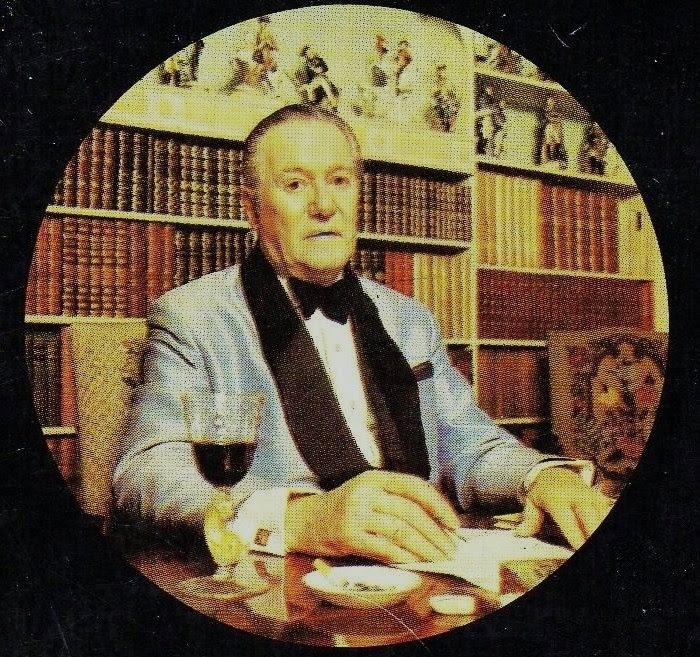 After the war, Wallace became better known as popular magician Ali Bongo. *Yes, we thought The Unknown Soldier was behind this, too.